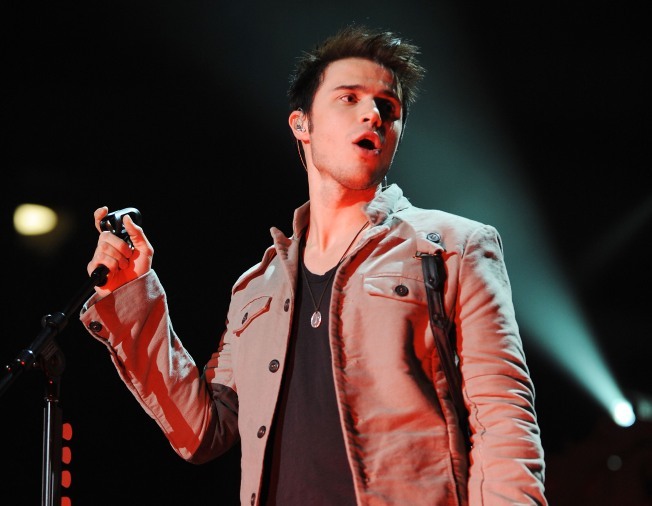 Surprised by Kris Allen's win? You shouldn't be. Some “American Idol” watchers were shocked in May when Kris Allen was crowned the winner of “American Idol’s” eighth season, beating out the flamboyant, creative Adam Lambert, who'd long been considered a favorite to win. Yet in a way, the decision was unsurprising. Allen is from Arkansas; Lambert is from California. When it comes to “American Idol,” hailing from the South is as important as talent — something to consider when placing bets on who will win the ninth season of “Idol,” which kicks off on Fox on Jan. 12. Six of the eight “Idol” winners have been from the South, including Kelly Clarkson (Texas, first season) and Carrie Underwood (Oklahoma, fourth season). A slew of finalists also have been from the South, including North Carolinians Clay Aiken (season two) and Chris Daughtry (season five). Just why “Idol” has a strong Southern accent has been the subject of debate since the show’s early days. But the most likely reason for this doesn’t often come up in cocktail-party chatter. “Idol” contestants with broad appeal — those who span musical genres such as country, rock, pop and R&B — are vastly more successful than “Idol” contestants who closely stick to a single genre. And when it comes to spanning genres, “Idol’s” Southern contestants stand out. Incredibly, Southern contestants account for 85 percent of the 47 million CDs that “Idol” winners and runners-up have sold. Underwood has sold 10.8 million CDs, according to SoundScan. Clarkson is next with 10.5 million. Daughtry and Aiken have sold 5.4 million and 4.9 million, respectively. Season two winner Ruben Studdard, from Alabama, is next (2.5 million), followed by season three winner and North Carolinian Fantasia (2.3 million). One theory about the Southern success claims that residents of the South don’t have as many opportunities to break into the music business as singers on the coasts, so they’re more inclined to go for their big break on a reality show. Another theory is that Southerners may just be good singers. Singing is a big part of Southern culture, with church choirs, jazz clubs and musical hotbeds such as New Orleans scattered throughout the region. Another thought is that Southerners are more inclined than “Idol” viewers in other regions to vote for contestants. There may be something to this. Southerners, specifically people in the Southeast and East Central states such as Kentucky, are also more likely to watch “Idol” than the average American. People in the Southeast were 10 percent more likely than average to watch “Idol’s” eighth season, according to an analysis of Nielsen ratings by media agency Magna. People in the East Central region were 16 percent more likely to watch. People in the Northeast and West Central were average viewers — 1 percent and 3 percent above average. West Coasters were 8 percent less likely to watch. People in the Southwest were the least likely to watch — 24 percent below average. A few former “Idol” contestants note that the show’s producers acknowledged its Southern bent. But they also say they didn’t hear anything about voter campaigns — where groups rally around a specific contestant — or Southerners voting more than anyone else. Fox doesn’t receive voting results by region, according to a network spokesperson. Southerners may be more inclined to vote for “Idol” contestants but, in general, they’re no more inclined to vote in elections or participate in polls than anyone else. In fact, Southerners are 6 percent less likely than the average adult to vote in political elections, according to a 2009 survey by Mediamark Research & Intelligence. Meanwhile, Eric Nielsen, senior director of media strategies at polling firm Gallup, said that Southerners do not participate in polls more than people from other regions. But he also noted that “Idol” doesn’t conduct scientific polls. It may be serious stuff to contestants but ultimately, “Idol” is just about having fun. Still, when it comes to guessing why “Idol” has a Southern bent, conspiracy theorists have a field day. One theory is that organizations such as the Nashville-based Gospel Music Association encourage their members to vote for specific contestants. These voter campaigns aren’t likely to have much impact on who wins, however, not when nearly 100 million votes come in, as they did for last season’s finale. And last season, AT&T, an “Idol” sponsor, reportedly showed people at Allen fan parties how to “power text” — essentially, voting super fast with text messages. Controversy erupted since fans at parties for Adam Lambert apparently weren’t given the same lesson. But any votes Allen gained from power texting almost definitely represented were too tiny a number to make any difference. This coming season, “Idol” will see some big changes, most notably Ellen DeGeneres replacing Paula Abdul at the judges’ table. But one thing that isn’t likely to change is “Idol’s” Southern leanings. Kevin Downey is a writer in Phoenix.